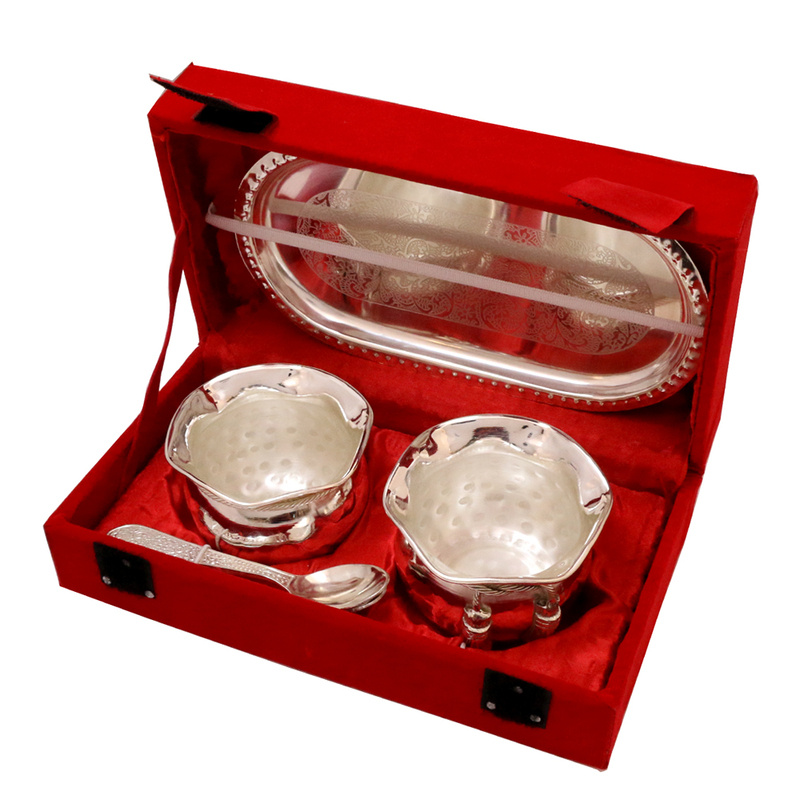 You will get awed with this stunningly outlined apple cut dishes set on a complicatedly planned silver plate and spoon. 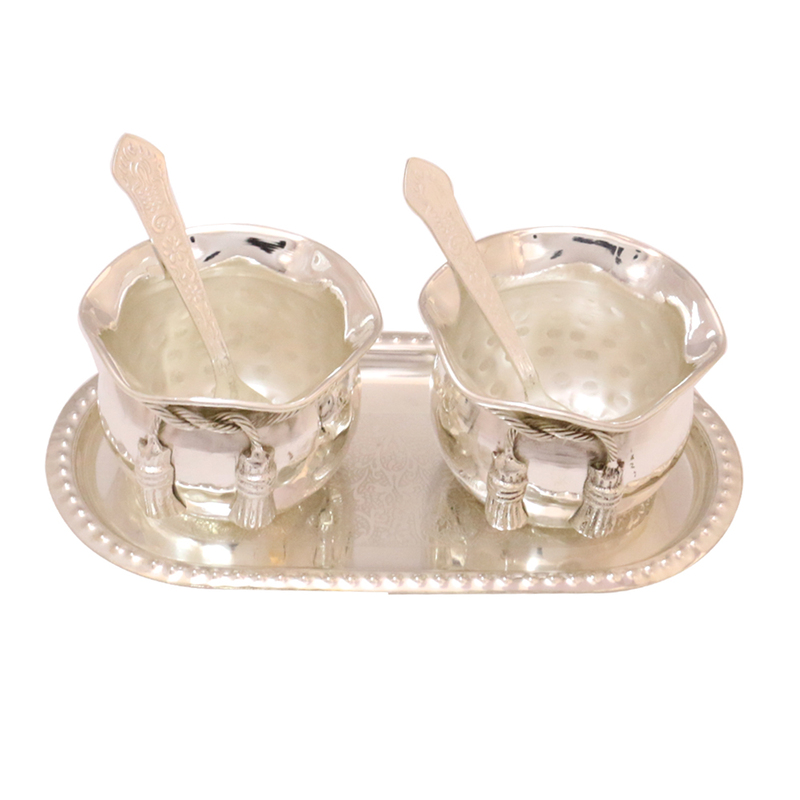 German silver apple cut dish Read More..set uncovers out the craftsmanship of the producer. They add a touch of stunning quality to your inside stylistic theme furthermore serve as an immaculate blessing thing. 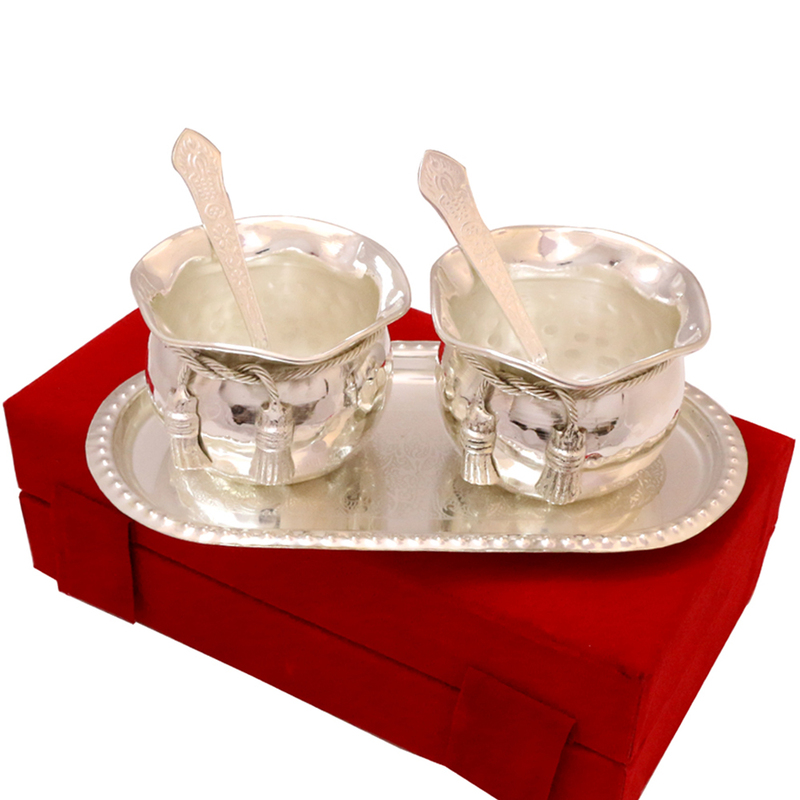 This silver dish set is an incredible decision for individual, corporate and limited time endowments. Show Less..